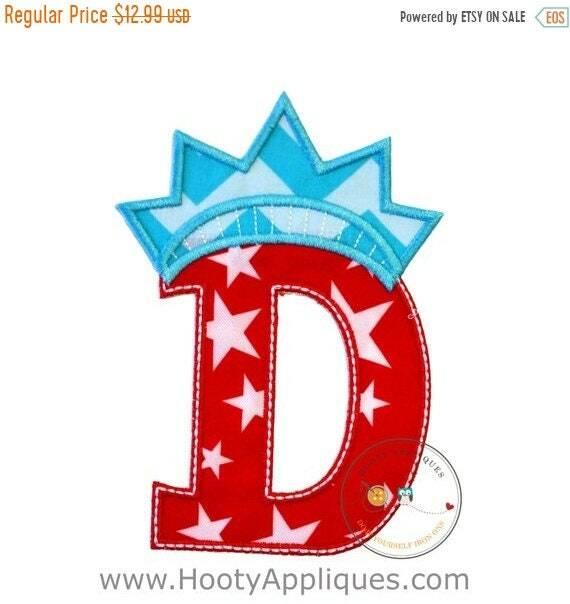 Star Spangle monogram letter D 4th of July iron on applique. 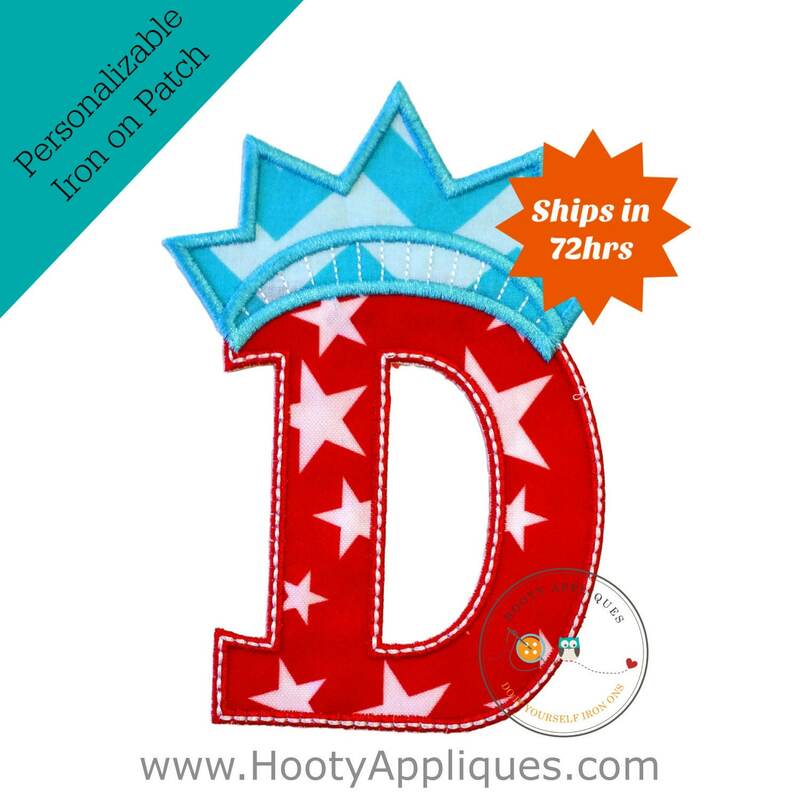 This Patriotic liberty letter D is done in a red fabric that is sprinkled with white stars of various sizes. It is trimmed in a red with a white triple stitch embellishment. The letter D is accented by a light and dark teal blue crown that mimics the statue of Liberty. *This iron on patch measures 4.75 inches wide by 6.75 inches tall.